Julie King is a Brisbane Psychologist who has worked with children, adolescents and their parents in both the public and private sector for over 30 years. An opportunity to work therapeutically with infants and their parents during the transition to parenthood began 13 years ago when working as part of a specialist infant-parent home visiting team. It included experiential learning, training and supervision. Completing a Masters in Perinatal and Infant Mental Health, and onging professional development in infant and perinatal interventions has strengthened her practice. Julie is experienced in assisting all family members (including dads and young siblings) adapt to the varied challenges of caring for a new baby, while nurturing attachment and family relationships. As a Senior Psychologist, Julie was responsible for introducing infant mental health into her local Child and Youth Mental Health (CYMHS) team. This included training and including colleagues in joint therapy. Julie also did outreach work with adolesent mothers. Julie became passionate about helping prevent some of the heartache that can occur at this very vulnerable time. Numerous insecurities and vulnerabilities get stirred up when becoming parents. This can devastate new parent’s dreams to be the mum or dad they want to be. Julie helps parents learn that these struggles including perinatal depression and anxiety, and bonding difficulties (sometimes following prematurity) and infant emotional difficulties such as feeding and settling issues, or trauma, are all very treatable and worth the courage it takes to seek help. When helping infants’ emotional wellbeing following trauma (including medical) or loss, Julie is delighted that she can integrate infant mental health with her previous training in both Family Therapy and Play Therapy. Julie enjoys watching both parents and toddlers relax with an enjoyable and non-threatening play based child parent psychotherapy. Julie remains in awe of infant’s capacity to communicate without words. Julie’s experience with infants and children’s early development informs her work with parents who may have suffered trauma or other difficulties originating in childhood. Julie is experienced in trauma work with all ages- including birth trauma and medical and other trauma in infants. 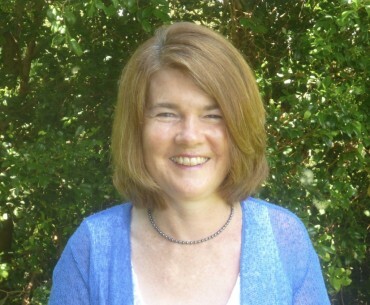 Julie’s work is informed by attachment theory, trauma, mindfulness, neuroscience and compassion focussed therapy. Julie has presented a number of infant and perinatal psychology papers at conferences. Julie is a Registered Circle of Security Parenting (COS-P) Facilitator. Julie is also a registered Pregnancy Counselling Support Medicare provider.